The cast of The Chronicles of Narnia: Prince Caspian recently shared some thoughts on Twitter to commemorate the film’s tenth anniversary. 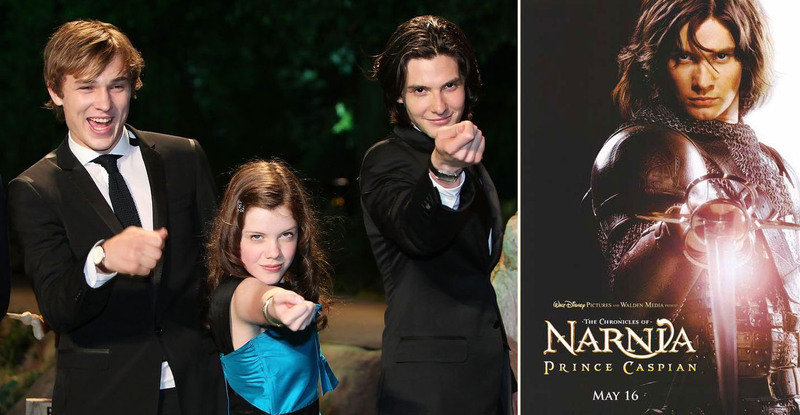 William Moseley (Peter), Georgie Henley (Lucy), and Ben Barnes (Caspian) reflect on their experiences with the film ten years later, with fun tweets about the classic Prince Caspian pose and less-than-perfect action figures as well. Did you miss our Prince Caspian 10th Anniversary Watch Party? Check out the replay. That action figure sure is something… and that something is nightmare fuel. I still have my tape-recording of The Chronicles of Narnia: Prince Caspian – The Extended Motion Picture on VHS. I keep it in a clear VHS case I had had lying around for years with nothing to occupy the space. I am very proud to have the Extended Edition of Prince Caspian in my personal library. Are you auditioning to be the seriously elderly Caspian in the next film? He doesn’t have to do any horse riding. Really glad for this celebration, cause this movie lives on. I am still coming back to this movie, because i love King Miraz so much. Amazingly cast.